One day you will probably notice a damp patch on a wall or ceiling, or simply water will begin to drip through a ceiling and start to puddle on the floor. 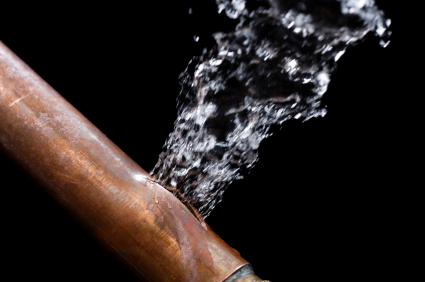 either way you notice a leak it is important to have it repaired quickly and efficiently by a professional plumbing company. The dangers caused by water leaking behind walls or above ceilings mean it is important for a professional plumber to complete any repair as the lifespan is longer for the repair and an individual has the peace of mind that the repair is completed correctly. What Do You Do When You Find a Leak? In our professional opinion, the first step to take is to call ourselves and seek our professional assistance. The first step we take is to ask the homeowner to turn off the water supply to the damaged pipe or pipes, if this is not possible we will do this ourselves when we arrive at the property to complete a repair. Once the water is turned off and our plumbers arrive we will examine the area of the leak and determine what course of action needs to be taken. Our plumbing company will talk you through the problems that caused the leak and also explain how the problem has affected the water supply and surrounding areas of the property. We will then enact the best possible repair or replacement for the homeowner and discuss any problems that we have seen behind walls or above ceilings. Why Bother to Fix a Leak? Water is essential to life, but it can be dangerous when entering a property without being checked or housed within pipes. We see a large amount of problems caused by water leaking into a property, which can include the issue of water causing damage to walls or ceilings, which could after a long enough time cause the area to collapse. Water that pools behind walls and ceilings unchecked can quickly cause health problems for the property owners, largely caused by the temperature within a property. Mold spores can form on walls and ceilings that are capable of causing lung and breathing problems in humans, humid conditions within a property can also result in serious medical conditions. The foundations and structure of a property can also be damaged by a water leak as liquid running down walls can cause cracks and the earth to shift in a dangerous fashion. Serving your Annapolis community everyday. For leak detection assistance, Call Heidler, Inc. at (410) 268-7191 today for reliable plumbing services.